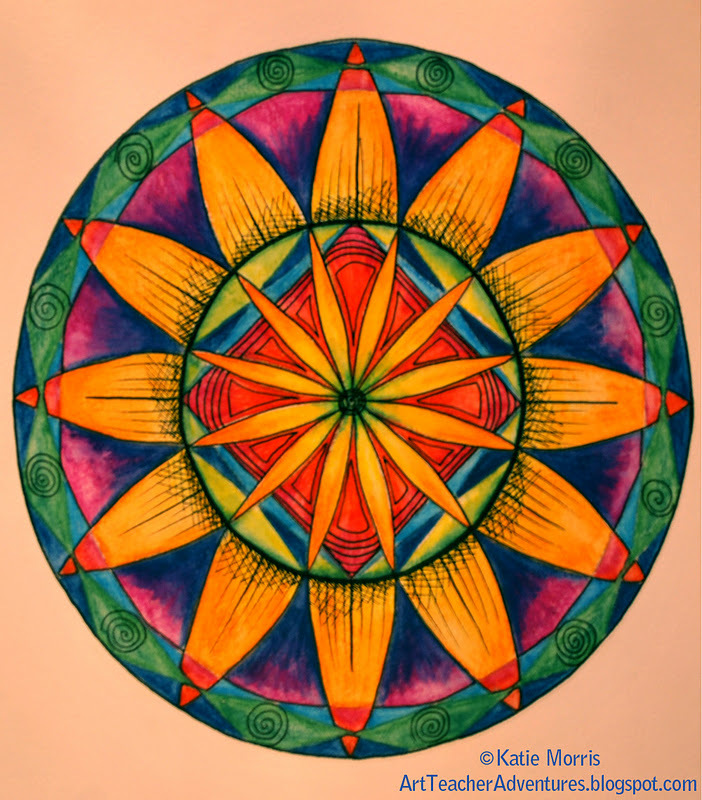 I mentioned in an earlier post that I was taking a *FREE* online Mandala class from Willowing.ning. I really enjoyed it! I usually prefer asymmetry but I wanted to learn more about mandalas so I can feel confident teaching my students how to make them. We used a compass and ruler to create the design then I painted some with watercolor pencils and some with regular watercolors before adding more designs with ink. The circles are a little distorted. Since the paper doesn't fit easily on my scanner I had to photograph them. 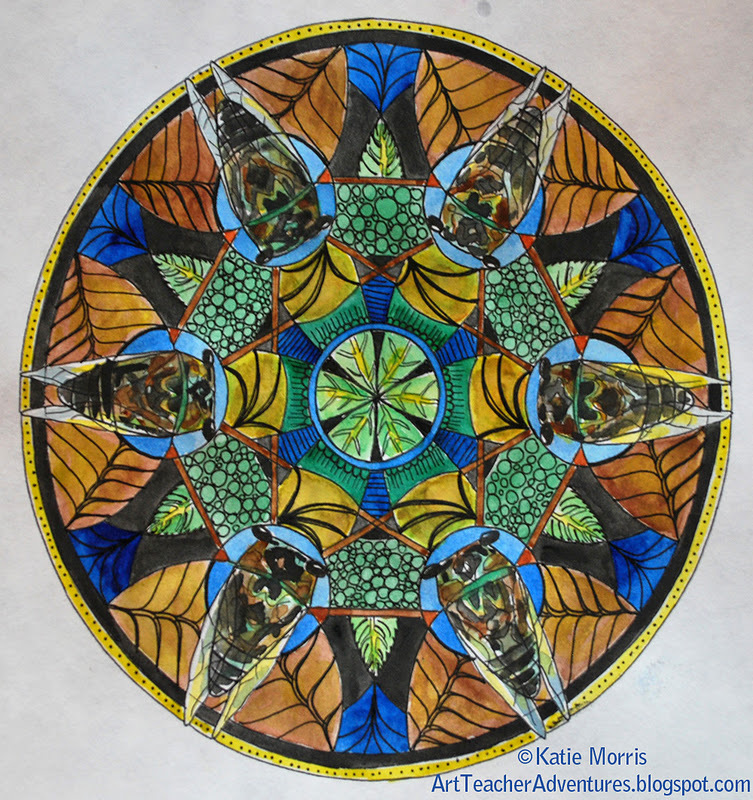 One of the shapes I created in the mandala on the left reminded me of a cicada so I just went with it. Inspiration Avenue hosts a weekly blog party challenge. They disappeared from my blog roll for about a month* but I actually remembered to check the theme this week. This week's theme is Christmas Balls. I had yet to finish one of my mandalas so I thought I would be festive and turn it into an ornament. Maybe I'll find a relative to give it to for Christmas! *They show up again now all of a sudden so I don't have to remember on my own! Love the Christmas ornament one! This is absolutely gorgeous, such beautiful colours. Wow these are all just gorgeous! Great idea to turn one into a Christmas ornament, works really well! 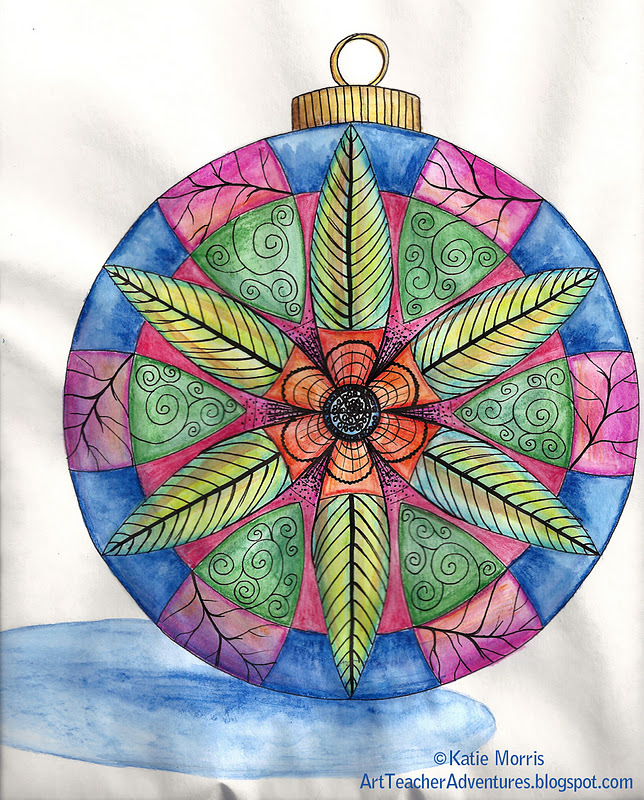 I just adore mandalas and your Christmas ball one is stunning! Makes me wish we were related, LOL! All so beautiful...mandalas remind me of spiro-graph, are you old enough to remember that? I'm 25 but I used to play with my mom's old spirograph at my grandma's house! She said they look like spirographs too!